After having a couple weeks to test the prototype, my crew was so happy with the square and confident that it sped up the layout process, that I bought one for each guy in my shop. Stephen Morrison, Moresun Woodworking, Inc. Your layout square is awesome! It's decreased our layout time significantly, reduced errors, and made fit-up go a lot quicker. 201 Stainless Steel Plate with matte finish to prevent glare, rustproof and exceptionally durable with 1/16 inch scale on all dimensions. A red anodized aluminum base for durability and weight, adding a heft to the square that helps keep the square in place and comfortable. 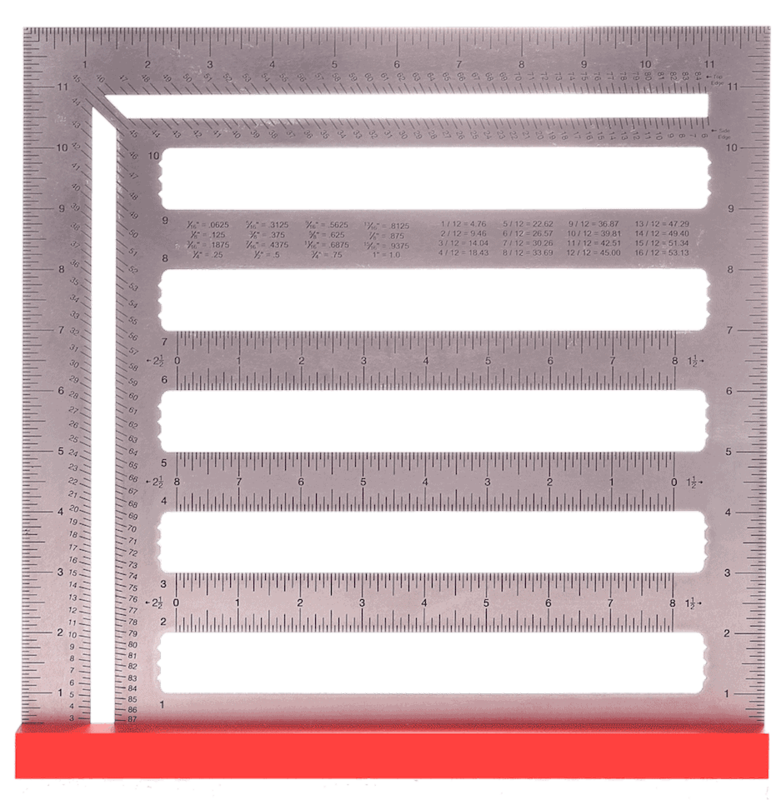 Dimensions in the graduation slots to aid in peg layout and offset those dimensions to the outside edge 1 ½ inches and 2 ½ inches. Offset base to aid in reference edge layout with graduation slots every 1/2 inch with notches on edges to mark every 1/4 inch. Features factions to decimal and roof pitch to decimal conversion charts. 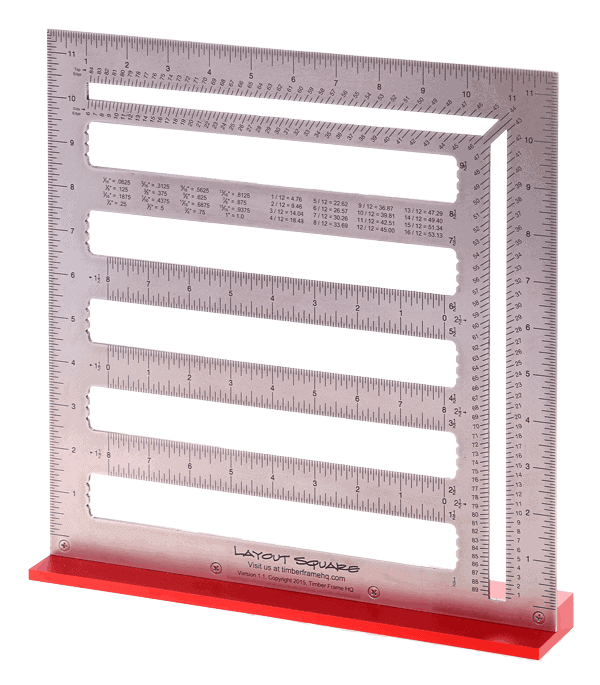 Framing square, try square, protractor and saw guide all rolled into one tool. Permanently marked laser etched markings with black gradations for easy reading. 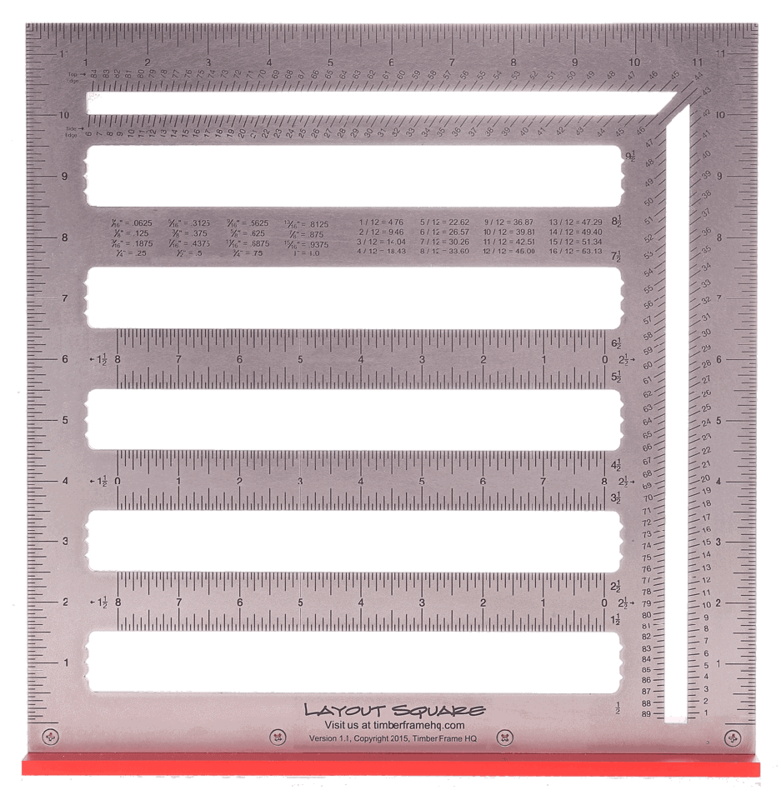 This square is a high quality tool that rivals the quality of anything Lee Valley or Shinwa is putting out and it negates the need for multiple squares on timber projects.